Oklahoma Connection | Owens came to Wagoner, Indian Territory in the late 1900s. Some historians have called James Owens the “Father of the modern public service idea” in Oklahoma due to his tireless goodwill and active leadership in public functions of every kind. James Francis Owens, better known as “Jack,” was born in Illinois and moved with his family to Kansas in 1879. He was certified as a school teacher after attending Kansas State Teachers College and taught near his hometown until he became a school principal (1900-1903). He left the school to work for a newspaper and, around 1905, accepted a job working for the Baldwin Gas Company in Kansas. 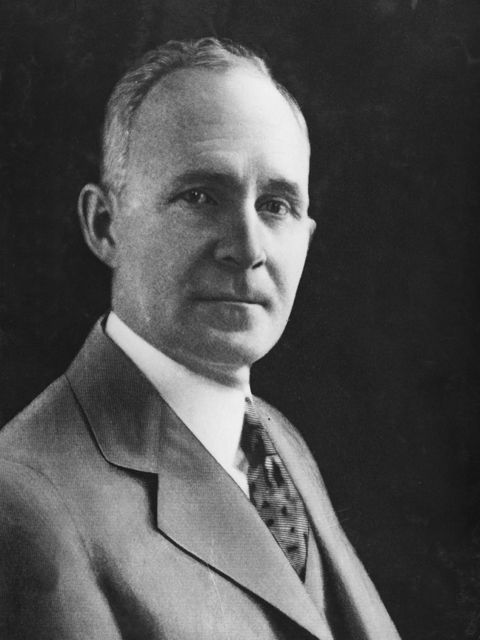 He was transferred to the Wagoner Gas Company in Indian Territory and became General Superintendent of the Caney River Gas Company in Muskogee in 1909, and became Muskogee Gas and Electric Company’s manager in 1917. The company became Oklahoma Gas & Electric Company (OG&E) in 1918 and Owens was made the company’s vice president and general manager. Owens also served the state as a considerate civic leader on the local, state and national level. He was the national director of the U.S. Chamber of Commerce and consistently in the forefront of projects to help build and support Oklahoma City and the entire state.